I made a few dresses this summer to varying degrees of satisfaction. Hazel, which has a weirdly shaped facing (size 12 - am I the only one?) does not flatter me but the fabric is awesome and I wear it anyway. I also made a Tiered Maxi dress with that burdastyle pattern that is so popular. The fabric is a delicious Italian cotton floral, but without trim looks a bit like a nightgown. Also, the side zipper itches my tender flesh and is kinda unnecessary since I can pull the dress on over my head. I need to pick the zip out but the side seams will be different which bugs me. I want to make another version; short, no zip from a rayon challis floral with some wee trim at each tier. I cut a BS Fatima dress, but the fabric is noisy so I’ve lost interest half way through sewing it. I also cut a long striped jersey maxi dress but I need to take it in at the side seams (damn Big4 sizing again!) and it’s tricky to get the stripes to match up the 2nd and third time I stitch the side seams. I attended a 90 minute “class” at Mood NYC this week with Susan Khalje where she went over the methods employed in making a classic french cardigan jacket. The class was very informative but I didn’t learn a whole lot of new information. I did find it helpful to go over everything in detail with a master couturier and I immediately got my Chanel jacket mojo back after seeing several ladies try on Susan’s famous samples. I brought both of my patterns to the class and Susan mentioned that she prefers the v7975 pattern to the newer v8804 pattern due to the built in shaping in the pattern. She said it is possible to convert a 2 piece sleeve into a 3 piece by splitting the upper sleeve vertically from the shoulder notch. She also discussed the dimensions and shape of the canted sleeve vent. Also worth noting; Susan uses silk organza to interline the top portion of the side front and back panels in order to stabilize the armholes. Overall I felt encouraged that the techniques employed, although labor intensive, are not terribly hard or complicated. No need to over think it. I confess, the pattern instructions in v8804 intimidated me with its specificity and additional construction techniques. ETA: I found an AMAZING flicker set for the new Vogue pattern 8804. It makes me want to give that pattern a muslin. I think the sleeve is intriguing. Much of the online discussion about this pattern has been in regard to the "strange" grainline of the front top sleeve pattern piece however Claire Schaeffer herself weighs in on the subject in this flicker set! Moving onward; last night I decided to remake my muslin in a larger size (16) using more traditional couture methods which I learned from Susan’s Craftsy couture dress class. One tip I will share is how I was able to easily transfer the pattern to the muslin. I have a Clover tracing wheel that has two adjustable wheels. The wheels are blunt so they don’t pierce or otherwise damage the tissue pattern. I set up the wheels 5/8” apart so that as I traced along the cutting line with the outer wheel the inner wheel traced the all important stitching line. This made it possible to skip drawing the cutting lines onto each pattern piece. I’m going to fit the sleeve as a two piece but I will draw the vertical seam line on it so I can check the placement. Confession: I also bought a black tweedy boucle, complimentary silk charmeuse and thread for a 2nd Chanel jacket for fall. I will need to find appropriate trims later. I participated in the Ravelympics, no wait, EXCUSE me, the Ravellenic Games. I did not medal (drat!) but I did finish my sweater. I love it, but I have no acceptable photos for the blog. Ravelers can check it out on ravelry. I impulsively started a traditional aran fisherman sweater (stash busting, I swear) and I am already on the 2nd sleeve. 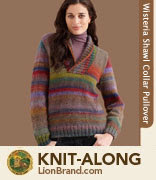 It’s interesting and easy enough; great for tv knitting and commuting. I need to cast on for me wedding shawl (to say nothing of my DRESS) but I am distracted by my current intarsia obsession. It’s all Kafe Fassett's fault. I found a 2nd hand copy of Glorious Knits and I am dying to make a carpet patterned (kilim inspired) cardigan jacket for fall. 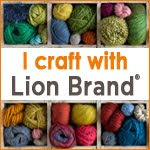 I’m going to Lion Brand Yarn Studio this evening for an event. I might end up purchasing a sweater worth of Amazing. If I do, it’s allowed because I finished my Ravellenic sweater with stash yarn and my current sweater is also stash yarn. I got an A in Patternmaking II. Hurrah! 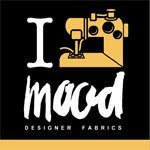 I am now enrolled in Patternmaking Jackets and Suits for the Fall semester at FIT. Learning to fit a jacket is supper helpful for work and especially for the Chanel jacket project. 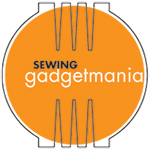 I am much more confident about fitting the new muslin. Two of the important things that I've learned so far are: 1) the Shoulder Slope is critical to the overall fit of the jacket, and 2) the Collar Sweep (outer edge of the collar) is critical to the shape and break of the lapel. If the collar sweep is too long, the lapel will break too high, if the sweep is too short, the lapel will break too low. Yeah, the zippers in burdastyle dress patterns are almost always not necessary. If I can, I leave them out, and if I can not, I make the dress a bit more loose and leave the zipper out too :).